Why Do Most Newbies To Currency Forex Online Trading Fail? AVATRADE Pros and Cons 2018 – Is AVATRADE the Broker for You? Is AVATRADE the forex broker you have been looking for? Or is it a broker you should avoid? Check out our AVATRADE Pros and Cons and make that decision on your own. 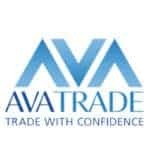 AVATRADE has been around since 2006 so they have experience in the Forex game. We have a compiled a list of AVATRADE Pros and cons for 2018. Over 250+ trade-able instruments including Forex, CFD’s and Cryptocurrencies. The ability to trade Crypocurrencies 24 hours a day 7 days a week. Trading platforms – Featuring MT4, webtrader and exclusively to avatrade – AvaTradeGO and AVAOptions trading platforms. Regulator bodies – Regulated in Europe, Australia, Japan, British Virgin Islands and South Africa, (regulated on 5 continents). Customer service – Representatives are available 24/5 in 14 different languages ready to assist with any trading issue you may have. Also feature one of the better live chat platforms. Continued education – exclusive free videos, articles, e-books and daily market analysis. They also conduct a series of webinars in several Different languages. Even though avatrade is regulated on 5 continents they are still not registered under the NFA, so they do not accept clients from the United States. Deposit methods – AvaTrade Only allows a hand full of deposit methods, less deposit options vs its competitors. Spreads – Spreads starting as low as 0.8 pips compared with some of its competitors starting as low as 0.0 pips. Forex Trading Russia: What Do You Need To Know? The Best Forex Brokers For Large Accounts 2019. Forex trading carries a high level of risk and it is possible to lose more money than your initial investment. Never trading monies you cannot afford to lose. On average 70% – 80% of retail investors lose money when trading CFDs. CFD trading carries a high risk of losing money. It is advisable you understand how these instruments work and you can afford the high risk of losing your money.